Physiological Systems in Insects discusses the roles of molecular biology, neuroendocrinology, biochemistry, and genetics in our understanding of insects. All chapters in the new edition are updated, with major revisions to those covering swiftly evolving areas like endocrine, developmental, behavioral, and nervous systems. The new edition includes the latest details from the literature on hormone receptors, behavioral genetics, insect genomics, neural integration, and much more. Organized according to insect physiological functions, this book is fully updated with the latest and foundational research that has influenced understanding of the patterns and processes of insects and is a valuable addition to the collection of any researcher or student working with insects. There are about 10 quintillion insects in the world divided into more than one million known species, and some scientists believe there may be more than 30 million species. As the largest living group on earth, insects can provide us with insight into adaptation, evolution, and survival. 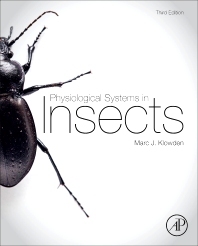 The internationally respected third edition of Marc Klowden's standard reference for entomologists and researchers and textbook for insect physiology courses provides the most comprehensive analysis of the systems that make insects important contributors to our environment.